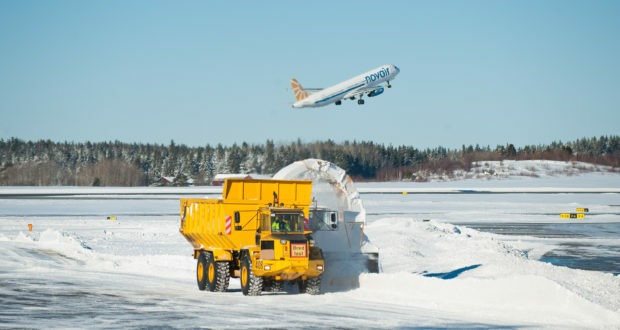 Sweden’s airport operator is “taking measures to ensure its competitiveness” and to meet changing market conditions. The airport operator Swedavia is laying off 125 employees as a result of an ongoing restructuring and efficiency programme aimed at ensuring its cost-effectiveness and long-term competitiveness. “We are now creating conditions to remain competitive and to develop our operations in the long term,” argues Jonas Abrahamsson, president and CEO of Swedavia. The layoffs include jobs in the group’s corporate units as well as at Swedavia’s individual airports – but mainly in Stockholm and Gothenburg. “We will work to make it easier for the employees affected to get a new job quickly, in part through a partnership with TRR,” Abrahamsson promises. TRR is a Swedish non-profit foundation that provides expertise to redundant workers. Negotiations with Swedish trade unions have already been initiated, Swedavia says. The aim is that the job cuts are implemented by the end of June. “As an airport operator and property developer we need to be attractive to our customers, both here and now and in the long term,” Abrahamsson stresses. Swedavia today has about 3,100 employees, and the state-owned group owns, operates and develops ten airports across Sweden, with total revenues of over SEK 5.7 billion (€556 million). Last summer it raised extra cash by selling the Scandic hotel at Gothenburg Landvetter Airport.